Over 100 cases had been reported for Battery Explosions in Galaxy Note 7, therefore Samsung had to recall it’s devices globally and halted the sales of Note 7. Now Samsung has been issuing new Note 7 to all affected users who had returned their old Note 7 to Samsung. But it seems there is still over heating issue present in Note 7. 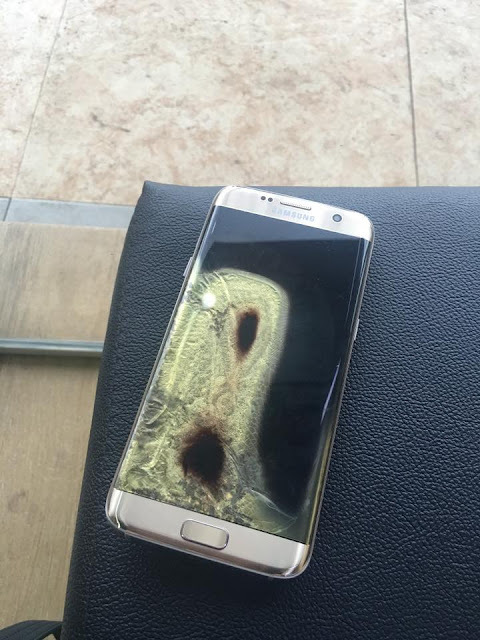 Following this saga of battery explosions, recently Samsung Galaxy S7 Edge got burned due to unknown reasons in Philippines. Samsung Galaxy S7 Edge also suffers with Pink and Green Tint Issues, we had covered up, how you can get pink and green tint fixed on Galaxy S7 Edge. Please also make sure to read How To Fix Common Problems With Samsung Galaxy S7 Edge? 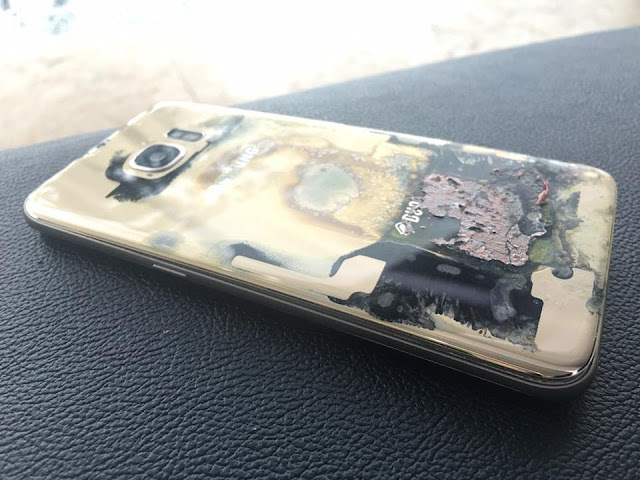 The user Weng Briones said that her daughter was tweeting from Galaxy S7 Edge, in the meantime, Galaxy S7 Edge DUOS started to heat up and started to emit smoke. Suddenly they poured water on the device and then wrapped it up in the towel. Please note that this was the Dual Sim variant of the device. 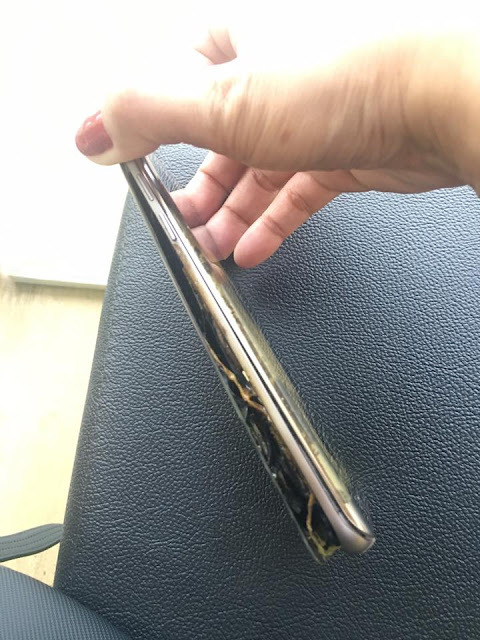 When this case was reported to local Samsung Store in Philippines, they offered full refund to the user on her demand, as she didn’t want another S7 Edge, which might explode again this way. 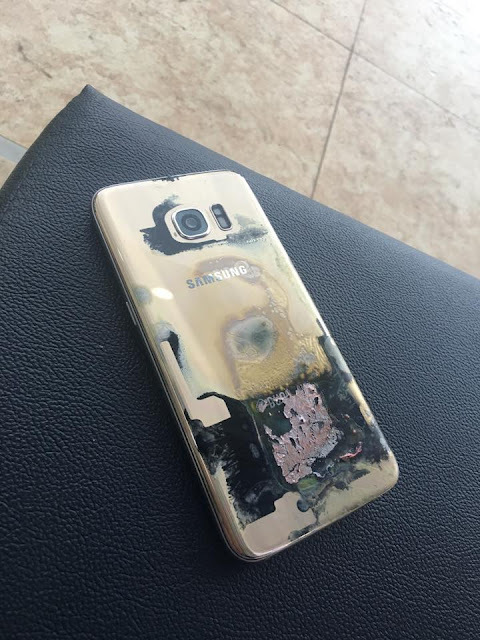 There have been 3 more cases like this in USA & UK, where users have sued Samsung for this sudden and without any reason burning of Galaxy S7 Edge smartphones. began emitting and the charger and charging point got burnt. This kind of issue is very rare unless your phone is infected with worm virus ,can make your system cpu inside the phone become over heat and busttt.